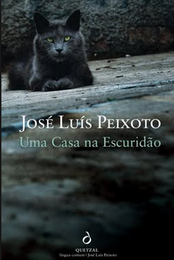 A selection from three of previously published (in Portuguese) poetry books from the Saramago Prize winning author José Luis Peixoto: A Casa, a Escuridao (The House, the Darkness), Gaveta de Papeis (Drawer of Papers), and A CRINÇA EM RUINAS (A Child in Ruins). 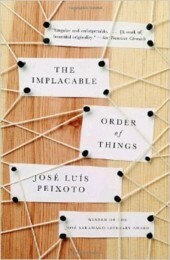 Translated for the first time into English by Hugo dos Santos. 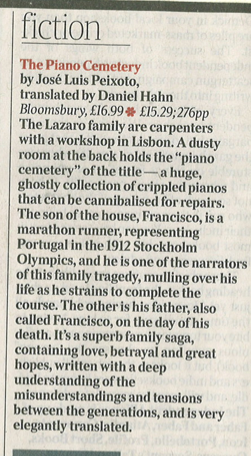 The Lázaro family are carpenters who would rather be piano-makers. 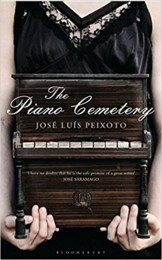 In the dusty back room of their carpentry shop in Lisbon is the 'piano cemetery', filled with broken-down pianos that provide the spare parts needed for repairing and rebuilding instruments all over the city. It is a mysterious and magical place, a place of solace, a dreaming place and, above all, a trysting place for lovers. 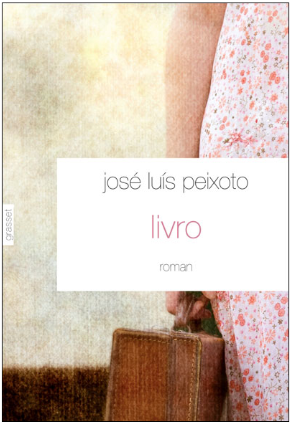 Peixoto weaves the tragic true story of the marathon-runner, Francisco Lázaro, into a rich narrative of love, betrayal, domestic happiness and dashed hopes. 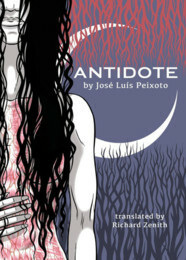 Originally published in Portuguese accompanying the album, The Antidote, by goth metal band Moonspell, Antidote is an unprecedented collaboration. 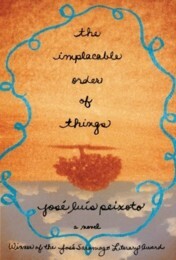 This unique book from world-renowned author José Luís Peixoto consists of ten connected short stories, each one inspired by the lyrics, the music, and the spirit of a corresponding track on the original album. Pieces of what I knew to be the day between what seemed to me to be the night. Pieces of the room alone, with the sole light from the closed window, amidst a dark place where everything happened effortlessly. I would awake and then fall asleep again. I would awake and knew that the day existed after the room alone and closed, after the twilight. I would fall asleep again and was inundated by the world of sleep. When I awoke, I would try to hold on to those moments whilst endeavouring to make any movement wake me up completely, but I would fall asleep again, and I don't know how long it would be before I awoke once more, and the room, and the day, and a moment would pass, and I would fall asleep again. 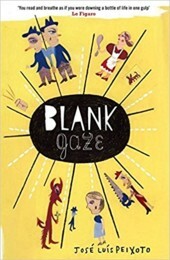 Later, there was one occasion when I awoke and, without explanation, I was wide awake. I didn't close my eyes again. I rubbed my eyes with my fists clenched. I didn't think about the times when I had awoken and fallen asleep. I awoke. I left the world of sleep behind me. And I got up. I opened the shutters and was dazzled by the light. It was one of the afternoon hours close to evening. Gradually, on awaking, I reconstructed myself. My memory was returning and ideas were being born from the memory. I dressed and went out into the corridor. The cats indifferent to my legs. 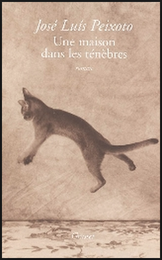 For the cats, as I walked past it was my legs that were the discomfort of an object that was there at that moment, as if it had always been there and as if it would always be there forever. But I was passing by. I was crossing the corridor, choosing a path between the cats. At the open door leading to the sitting-room, I saw my mother lying on the sofa, asleep with her mouth open and drooling. She had cats sleeping across her body and a cat sitting on her forehead. Whenever this cat moved its tail, its hair touched her gently on the lips, and my mother would screw up her face, suddenly closing her mouth, and sucking up the drool that was running down her face. In the kitchen, the slave miriam's eyes asked me to sit down. I sat down, and she gave me a bowl with milksop. The inside of the bread was a sponge that I pressed against my tongue with a spoon, and that I squeezed, and which filled my mouth with fresh milk. When I swallowed the last cube of bread, I held the spoon inside the bowl with my thumb and drank the milk, which had white crumbs floating in it. 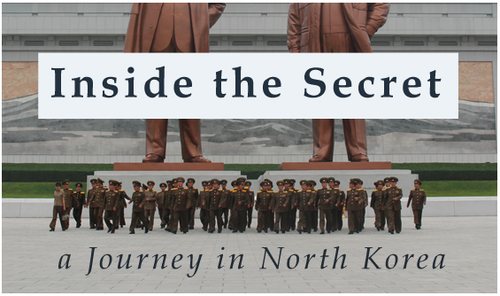 I lay the bowl on the table: the noise of the bowl on the wood, the noise of the spoon against the china. The slave miriam didn't look at me. I sat on the balcony, in the rocking chair, and lit a cigarette. 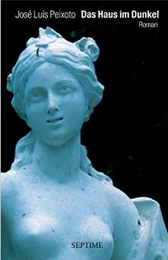 In the evening at the balcony, at the moment when I was finishing smoking, at the moment when I was turning my eyes from the statue in the garden, at the moment when the birds were climbing through the sky towards the mountain, I saw the prince of calicatri come into our yard. I watched him approach without any expression on his face, with his customary ambling gait. He climbed the stairs in silence, whilst I was standing up. Face to face, we looked at each other for a moment before embracing. The prince of calicatri had been my most valued childhood friend. The prince of calicatri was and would always be my best friend. We were friends forever. On the balcony, that evening, two days after the death of my publisher, thirteen years since the last time we had seen each other, we embraced. I and the prince of calicatri were the same age. We played together a lot until the day he turned twelve. During the party, amidst balloons and ribbons and colours, when we all now had slices of cake on small plates, when we were cutting them with the side of the silver forks, the prince of calicatri climbed onto a chair and, banging on a plate with the cake knife, said your attention, please. 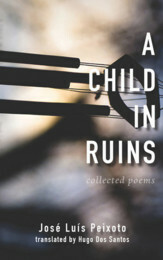 The adults in one corner of the dining-room, the children scattered around the table, we all listened to the voice of the prince of calicatri changing, now the delicate voice of a child, now the grave voice of a near adult, we all listened to him saying I've decided I'm going to see the world. After the moment that was needed for his words to be understood, the adults laughed in unison and the children remained silent. The prince of calicatri, furious, leapt from the chair onto the table and began to kick bowls of fruit salad, cream cakes, puddings and sweets. When he leapt from the table to the floor and ran out of the open door, everybody in the room was covered with threads of egg and cream and pieces of cake. His quick steps could already be heard rushing furiously up the stairs, when his father, belatedly, ordered go straight to your room. At the end of this phrase, a door was heard slamming on the floor above. Afterwards, the ladies were distressed, the prince's mother was almost fainting, the father spoke with the indignant gentlemen, the children were quiet, the slaves came and went with cloths and brushes that didn't remove the stains from the ladies' long dresses, nor from the gentlemen's dark suits, nor from the children's golden clothes. As the ladies and gentlemen were leaving leading the children by the hand, the prince of calicatri's strident shouts could be heard, and, in a voice that was an effort of the throat, in a voice full of tears and fury, the words could be heard I'm going to see the world, I'm going to see the world. His mother on one side and his father on the other were bidding farewell with handshakes and gestures of shame and, with wriggling shoulders and eyes, kept repeating sorry, sorry. The prince of calicatri remained locked in his room for six months and I was the only one allowed in. His parents remained at the door, with looks of concern on their faces, and whenever they tried to talk to him through the door, they would always receive the same answer, a shout saying I'm going to see the world. His parents would be about to take me to the door of the room and, in fear, would try to say come out, please. And he would reply I'm going to see the world. If you come out, we'll give you a real racing car. And he would reply I'm going to see the world. And they would look at me with their eyes lowered when I said it's me, and the door would open slowly. From these conversations, what I remember is his determination. He would tell me you'll see. I would ask him aren't you afraid? He would laugh. Six months later, with a voice of condemnation and defeat, the prince's father walked up to the door of the room, knocked and said you can go and see the world. As if no more than an hour had passed in those six months, the prince came out and, smiling, began to say I need this, I need that. Over the next days, his father bought three slave girls to accompany him on his trip and hid some tears when he took him to the train. And we saw him walking along the station with the three slave girls laden with bags, and we watched him wave from the window and disappear. During the years that he spent travelling round the world, I never expected either a letter or a telephone call. However, when I saw him walk into the yard, when I saw him in front of me, I immediately recognised him and, in that face, I recognised his aged child's face. The prince of calicatri. We went into the house. We sat down. The cats surrounded us with glances. The prince of calicatri was old. He was twenty-five and he was old. His wrinkled face looked at the floor in resignation, in submission, and revealed the white hairs, very weak ones, that covered his head. Sitting there, after we were together once again, after the time that was needed for our presences to be natural for one another, he said I've come to die, he said I know the whole world, there's nothing more that can surprise me. He said in my heart, like in a safe that's too full to close, I carry all the places I've been, all the ports I've landed at, all the landscapes I've seen through windows. In his eyes, I knew that it was true, because his eyes were still, like a river at night. His face, when he said I've come to die, was as if, in my eyes, he had set his death in motion, as if at every moment he were closer to dying, as if, after saying it, death would become visible. With the same look, he told me about the diseases that had killed the slave girls that he had taken with him and, smiling, he told me about how he had heard my name mentioned in many countries. He told me of the country where men sold books in canoes on a lake that was bigger than ten cities together, he told me that he understood that my name was written in one of the books. He told me of an old and toothless man, a bookseller in a canoe, uttering my name in the midst of an indecipherable language. The prince of calicatri knew how to say thank you in more than ninety languages; he knew how to say my name is prince of calicatri in more than fifty languages; but he didn't know how to read, nor did he know how to write. And he repeated my name in that old man's voice. He spoke to me afterwards of the country where mothers read my books to their children, he told me that the words that I invented were the first words that those children learned. Then he told me of the country where my books were burned, where the guards pursued the people who hid my books inside shoe-boxes, in the linings of coats, in the false bottoms of suitcases. And he said that I couldn't imagine the importance that my words had in the world. Wreathed in silence, I told him that there were no words that belonged to me. He asked me what I wrote in the books. I told him that I wrote myself. I write me. I write what I exist, where I feel, all the places where I feel. And what I feel is what I exist and what I am. I write myself in the most ridiculous words: love, hope, stars, and in the most beautiful words: clarity, purity, heaven. I transform myself completely into words. He looked at me, and all this he already knew before having asked me. Then, I told him about the woman that existed in me and that I wrote about. She is the most beautiful woman in the world. I find her when I close my eyes. She is love, because not even the sun, nor the mornings, nor the earth. And everything is an infinite force lifting me up. When I write, we touch. Love is all that exists. Something of her face and her limpidity passes through me and is written in words that are hers. And all this is a mystery of beauty, all this is a secret that cannot be revealed, all this is impossible and true. With her, I know that each moment may be my last regret. He was still looking at me, and this he also knew before listening to me. At that time, the silent steps of the slave miriam entered the room. Invisible, she asked if we would care to take something. Silent, the prince of calicatri looked at her with a fascination that enveloped that small, thin, slender, fragile figure. The prince stopped still. The slave girl stopped still. The prince looking at her. The slave girl looking at him. The two of them as if there were no other world. I know that I interrupted something. I said not now, thank you. The slave girl miriam left. A moment passed in which nothing happened except for the prince of calicatri thinking. And he suddenly stood up, quickly bade farewell and walked away, as if he were in flight. 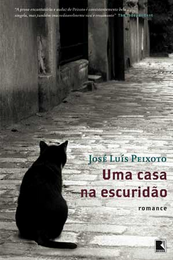 THIS IS AN EXCERPT from A House in Darkness, a novel by José Luís Peixoto. 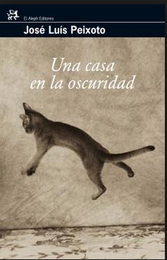 This novel was originally published in portuguese in Portugal and Brazil and on translation in France, Spain, Italy and Germany. 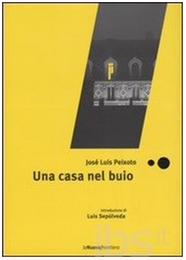 Contact Peixoto's page - facebook.com/joseluispeixoto - for more information about this or other of his novels. 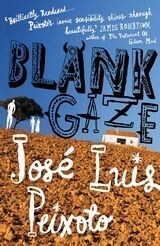 In english, Jose Luis Peixoto has published Blank Gaze (Bloomsbury, UK), The Piano Cemetery (Bloomsbury, UK), Antidote (Writ Large, US) and The Implacable Order of Things (Doubleday/Random House, US). His novels are translated in over 20 languages. 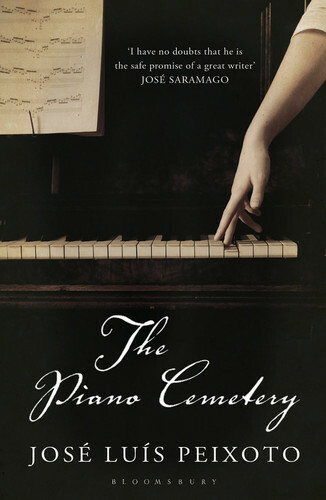 Some reviews on "The Piano Cemetery"
Article in Metro (uk edition) about JLP and "The Piano Cemetery"
Reading "when it was time to set the table".